The 9FQ feed hammer mill is a new design feed crusher. The performance of the feed hammer mill is higher than the normal standard. 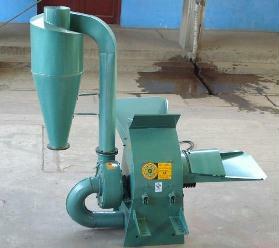 feed grinder is mainly used in the farms, middle sized feeding factory or for family use. The characters of the feed hammer mill focus on: Simple construction, convenient operation, high efficiency, saving power consumption, and safe condition. It is fitting to grind the yam, peanut, rice and other plants; husks; fresh pachyrhizus, green vegetables and grass. 1. The poultry feed hammer mill /feed grinder machine can grind various pellet feed materials such as corn, sorghum, wheat, soya, crumbled cake. 2.This poultry feed hammer mill is adopted imported high-quality bearings, with long life and smooth operation. 3. the corn grinder has Impeller feeder equipped with feed conversion and screw conveyor feed speed and other forms of feeder. 4. it is usually used with feed pellet mill in feed industry to make poultry feed pellets. 7. It is widely used in various of feed mills, oil plants, alcohol plants, lemon acid plants, etc. 1.feed hammer mill Unique inlet air way avoids circum fluence phenomenon in the crushing process; Equips “U” type hitting groove in the bottom of the crushing chamber, which enhances the output; Quick start full opening operation door, elasticity screen, hammer mill easy to maintain and replace screen. 2.feed Hammer mill Uses import “NSK”bearing to guarantee the service life; hammer mill the nylon stick coupling drives directly, effectively avoids bearing radiation . 4.hammer mill Feed port locates in the top of pulverizer, which can match with each kind of feed machines. 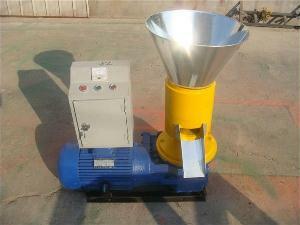 Animal feed crusher consists of delivery device, hammers, screen, rod and rotor on which hammers are mounted. The hammers swing on the central rotor freely. The rotor spins at a high speed while material is sent into a feed hopper. The material is impacted by hammers and is thereby grinded and then discharged through screens in a selected size.